What does an airplane crash have to do with patient safety in hospitals? On average, worldwide airline-related fatalities have reportedly dropped from 'approximately 450 to 250' annually. In the USA, 'there are an estimated 200,000 preventable medical deaths every year' (that's equivalent to nearly 3 major airline crashes each day, throughout the entire year). Imagine the fate of the airline industry if planes were to actually crash that often, with just as many deaths. No one would feel confident about flying. Yet, millions of patients continue to be admitted to hospitals on a daily basis. 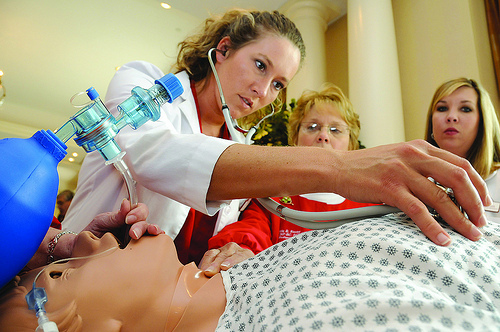 There is much agreement in many professional circles that if certain procedures used in aviation training (mandatory simulation-based learning, standardized protocols, checklists and crew briefings) were transferred over to healthcare education, the result would be not only a vast improvement in patient care, but a sharp decrease in patient mortality rates. Though health care experts may disagree on exactly how to incorporate aviation-based safety measures, few argue about the parallels between the two industries. And, even more fully advocate the value of borrowing best practices from aviation and transferring them to healthcare. 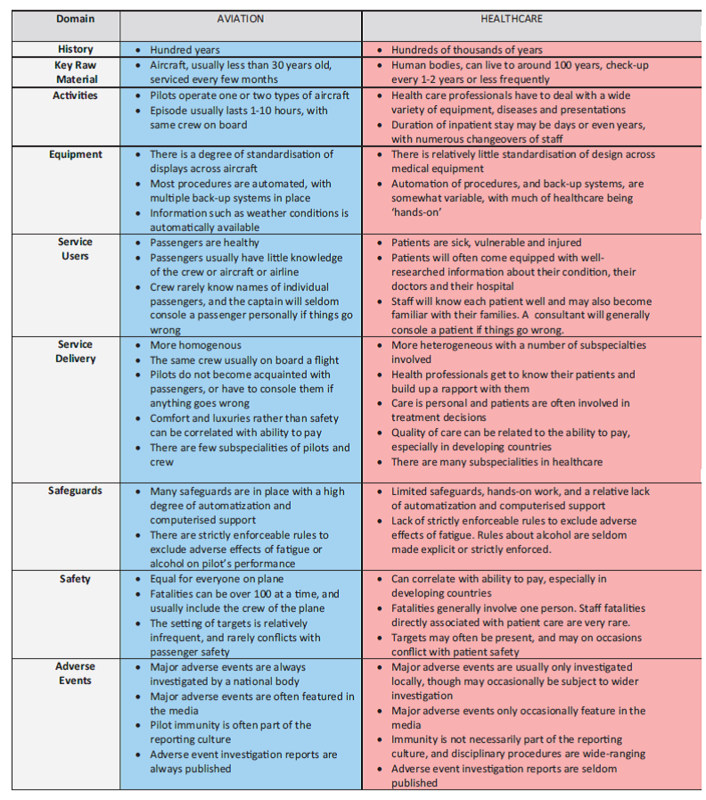 By way of background and perspective, the chart below details some of the ways in which aviation may be compared with healthcare, from historical, service delivery, and safety vantage points. While a number of best practices in aviation safety may be applied to healthcare, it is crucial to understand that pilot training differs considerably from medical training. For one, pilot training may take place within various environments (on the ground, or in the air). In aviation, simulator training is mandatory. This is not always the case in healthcare. Many aviation safety ideas, from simulation-based training and standardized working environments to checklists, bias avoidance training and human factor considerations have immense potential to help clinicians foster a culture where patient safety comes first. The initial step is to embrace the implications of positive change; to see value in successful aviation training methods and find viable ways to construct similar methods within the world of medicine to improve patient safety and outcomes.